achieving some of the best results we have ever seen. Beautify Spa by International Skin Care has 7 licensed & certified CSR Estheticians who have performed in excess of 10,000 CSR treatments. See the Before and After Pics! Collagen Skin Rejuvenation � A Game-Changer in the Skin Care Industry! Phenomenal Results - See for Yourself! This is not the method of derma-rolling, Skin Needling via the use of a tattoo machine, sometimes called a microfine needle rotary machine. Those treatments are barbaric, outdated, and simply not as effective as CSR! Please note: These photographs have not been altered to make the results look better. They were not taken by a professional photographer. The only editing that has been done is cropping or resizing. The lighting may be different since pictures were taken on different dates. With a Collagen Skin Rejuvenation Treatment, (CSR) we can micro-infuse Hyaluronic Acid (HA) into your lips. HA is natural to the body. In fact, 10% of your skin is HA! 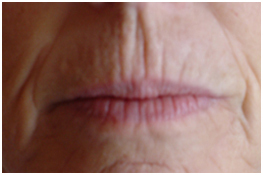 This treatment usually has little pain, is effective, and will not give you �duck lips'. If you want luscious, fuller, natural looking lips, consult with an Beautify Spa Professional Esthetician Today! Note: Beautify Spa does not make specific guarantees on what Collagen Skin Rejuvenation will do for you. Results can vary person to person. Results improve when combined with the Beautify Spa LED Skin Rejuvenation Treatments. Customers who have diabetes or who are on blood thinners require a consent form from your doctor. Please Note: The treatment devices we use are much more technologically advanced than using a tattoo machine. They are much quieter and get even better results. However, the premise of this news story is the same. Beautify Spa Estheticians have performed over 10,000 CSR Treatments. Collagen Skin Rejuvenation (Electronic Micro-Needling) is fantastic for everything when it comes to skin rejuvenation: scars, wrinkles, skin tone, texture, large pores, or even mild pigmentation. That's what Dr. Nassif thinks. 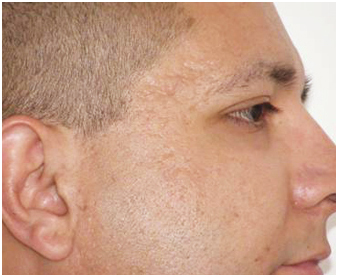 Dermapen Micro-needling is efficient, safe, and gentle but still provides results and promotes collagen remodeling. 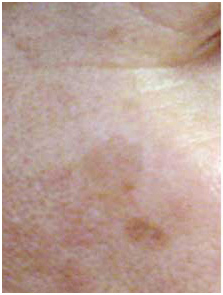 He has also seen results with Electronic Micro-Needling for Melasma, although not in a clinical trial. Outcomes are modest so far, not dramatic, but work continues and it's too early to truly say anything yet. Please Note: Dr. Sasaki states it takes 3 months to see results. It actually takes 3 days to 3 weeks to see results & we have performed thousands of this treatments. The latest youth enhancing procedure involves minimal pain and downtime, but delivers big anti-aging results! I recently completed a Collagen Skin Rejuvenation (CSR) treatment with Christina. 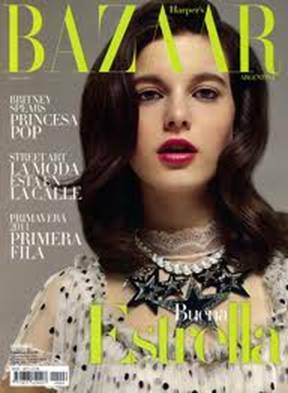 As an avid skin care guru, I have to say that Christina delivered one of the best CSR treatments I have yet to receive. And believe me I have had several to speak of in the last two years!! I have severe Hyperpigmentation on my face from years of being in the sun! I have tried everything from PDT (Photodynamic Therapy with the Levulan) to Fraxels. Both procedures are intense, so I opted to try the CSR. The results are amazing and I believe I have found the right person to continue to treat me with my upcoming CSR's! I also would recommend joining their VIP Club. They are truly the best prices in the Phoenix/Scottsdale area and Christina was amazing with the Dermapen. As I was leaving, I spoke with Christina and she said she likes to work on people with the same enthusiasm as if she were working on herself. She likes results and loves what she does!! Thanks Christina and I will be seeing you again soon! It's nice to know true professionals do still exist. Joanna performed CSR treatment and did so with precision and confidence. She took time to educate as well as comfort. Joanna is an asset to the field. I purchased the collagen rejuvenating package through Groupon. I had the treatment done about 6 weeks ago and my skin does feel smoother and firmer. 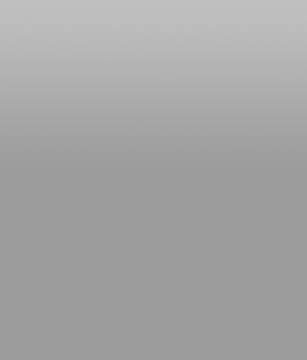 I went ahead and joined their VIP program for the discounts on products and services. The place is friendly and very relaxing. I went in for a facial and microderm and my skin felt great afterward. Click here to read more Collagen Skin Rejuvenation (CSR) Reviews! The Beautify Spa by International Skin Care is known to be one of the preeminent authorities on skin care. We are excited to offer a non-invasive, cutting-edge technology for total skin rejuvenation called Collagen Skin Rejuvenation (CSR). This treatment gets results! Collagen Skin Rejuvenation is a viable alternative for all skin rejuvenation. CSR is not a laser treatment. 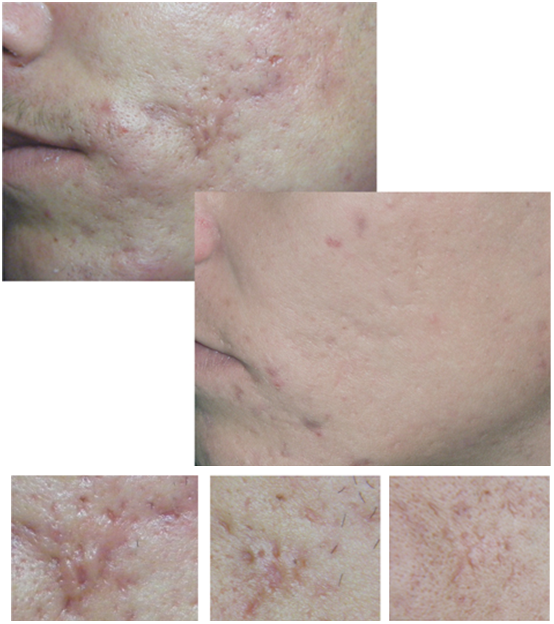 Beautify Spa's procedure has proven effective by clinical trials for smoothing depressed acne scars, wrinkles, crow's feet, frown lines, hyper-pigmentation (Brown age spots/sun spots), as well as stretch-mark removal and tightening the skin in any area of the body. If you've always wanted to significantly improve the appearance of your skin, but were reluctant due to the pain, cost, long-term healing and downtime associated with conventional laser treatments or deep chemical peels, then Collagen Skin Rejuvenation is for you! Look more youthful and feel better about yourself with CSR. It gets results! Results are significant, and measurable. The CSR treatment gives the perception that the body is injured. Our body's have an innate ability to heal itself. When it does, wrinkles, scaring and even brown age spots can disappear. For better results, a minimum of three treatments is recommended. 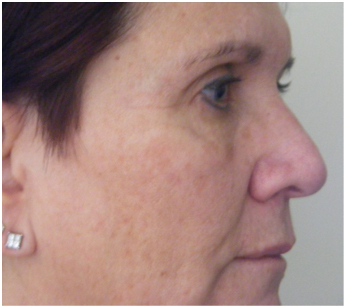 For even better results, add a HA SkinFusion treatment during your CSR treatment! Add LED Skin Rejuvenation afterwards for even longer lasting results! The process takes up to 2 hours from start to finish with half of that time dedicated to preparation and numbing the skin. Clinical Trial Studies have shown results are more consistent with CSR than with Factional Laser (See below). Complete healing occurs within 7 to 10 days. 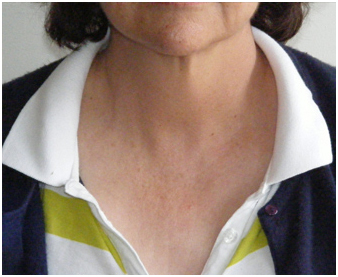 Collagen remodeling peaks at 90 days to 6 months and continues forming within the dermis over the next 12 months. With proper skincare and lifestyle, results can be expected to last a year or more. Add LED Skin Rejuvenation for even longer results! Our effective procedure works from the inside out. Collagen Skin Rejuvenation works beneath the surface of the skin to stimulate collagen growth, tighten, and rejuvenate the skin, while keeping the epidermis intact. CSR is not a laser treatment. There are fewer side effects, and a quicker healing time. How Does Collagen Skin Rejuvenation Work? Collagen Skin Rejuvenation is performed by of inserting teeny-tiny microscopic needles via electro-induction into the skin creating thousands of micro-perforations. Although, this sounds painful, it isn't. Customers typically tell us they feel little to no pain, usually a pain level 1, 2 or 3 on a pain scale of 1-10, 10 being the most painful. Also, there is typically no bleeding because the needles do not go that far into the skin. The process consists of applying a topical anesthetic to help numb the skin ensuring little pain or discomfort. The average treatment takes up to 2 hours from start to finish. This is not the method of derma-rolling, Skin Needling or the use of a tattoo machine, sometimes called a microfine needle rotary machine. Those treatments are barbaric, outdated, and simply not as effective as CSR! These microscopic perforations stimulate your body's own natural electrical response. (Similar to acupuncture.) These natural electro signals induce your body's natural human growth factor (PDGF), to transform into growth factor (TGF beta). This will increase blood circulation to the penetrated area, and stimulate collagen and elastin production. The new collagen and elastin matrix can continue rejuvenation for up to 12 months. This can be extended with LED Skin Rejuvenation. 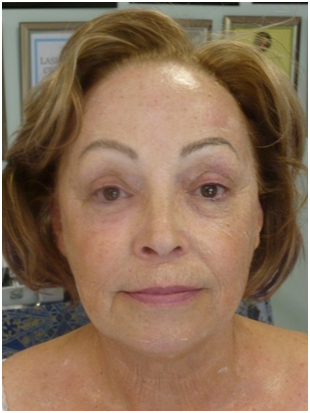 The Result: Rejuvenating Collagen greatly reduces wrinkles, scarring and removes brown spots. It works! The skin will be nourished, oxygenated, and restructured from the inside out - all without destroying the epidermis. 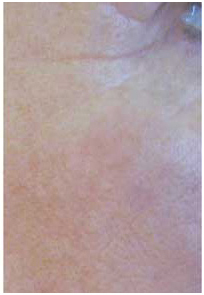 Collagen and elastin fibers make up a large part of the dermis. The thick fibers of collagen support the skin. If the elastin and collagen are in poor condition, the skin lacks resiliency, sags, and develops noticeable wrinkles. The major cause of skin aging is collagen loss and there are many factors that attribute to collagen loss. The older we get, the less collagen the body manufactures. 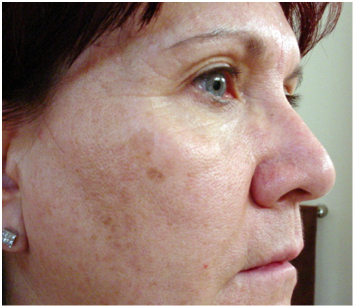 Excess sun exposure accelerates collagen loss and leads to premature skin aging. Having an acidic body hurts collagen production, as well as, stress, diet, and lack of exercise and your genetics all play roles in collagen deterioration. The good news is; you can have your own body turn on the production of collagen, naturally with CSR! Seventy-five percent (75%) of the dermis is made up of collagen. In healthy skin, it is arranged in bundles in a "basket-weave" pattern, which provides the dermis with its strength and prevents tearing. Collagen decreases as the skin ages, therefore the skin becomes thinner and sags the older we are. Five percent (5%) of the dermis is elastin. Elastin maintains the skin's tension and extensibility. Elastin fibers decrease, fragment and lose their normal structure as the skin ages. In sun exposed skin, elastin increases, and becomes thickened and dysfunctional. In order to treat and repair skin aging, it is necessary to stimulate the fibroblast, which recreates our own natural growth factor, ultimately, recreating collagen and elastin. A fibroblast is a type of cell that synthesizes the extracellular matrix and collagen, the structural framework for animal tissues, and plays a critical role in wound healing. Fibroblasts are the most common cells of connective tissue. This is the foundation of skin rejuvenation. Fortunately, fibroblasts are able to produce new collagen, elastin fiber, and the dermal matrix when stimulated. This influx of collagen and elastin at the site of the micro-needle perforations fills in wrinkles, scars and can even lighten pigmented areas of the skin. The result is beautifully repaired skin from the inside out without causing unnecessary damage to the epidermis. When Collagen Skin Rejuvenation is combined with our LED Skin Rejuvenation, Results and can be much faster and last longer. The LED light �nourishes' the growth of collagen and elastin. LED Skin Rejuvenation has zero pain and no downtime. It's actually quite relaxing. If you truly want to look younger and clear up your skin issues, you need Collagen Skin Rejuvenation! Methods: The authors performed a retrospective analysis of 480 patients in South Africa and Germany with fine wrinkles, lax skin, scarring, and stretch marks treated with percutaneous collagen induction to produce tighter, smoother skin. Most patients had only one treatment, but some have had as many as four treatments. Conclusions: Percutaneous collagen induction (Collagen Skin Rejuvenation) was started in 1997 and has proved to be a simple and fast method for safely treating wrinkles and scars. 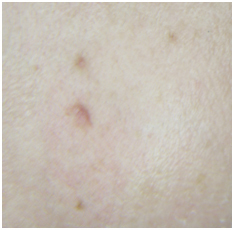 As opposed to ablative laser treatments, the epidermis remains intact and is not damaged. For this reason, the procedure can be repeated safely and is also suited to regions where laser treatments and deep peels cannot be performed. Source: Journal of the American Society of Plastic Surgeons. Please note: This CSR technology has improved since this study and Beautify Spa sees 100% improvement with our customers. More than one treatment may be required. Beautify Spa by International Skin Care Care feels the results of CSR are equal to Fractional Laser. Fractional Laser, also known as Fractal laser, has some of the best results on total skin rejuvenation. However, it is expensive, more painful and has longer down-time, but not with Collagen Skin Rejuvenation. 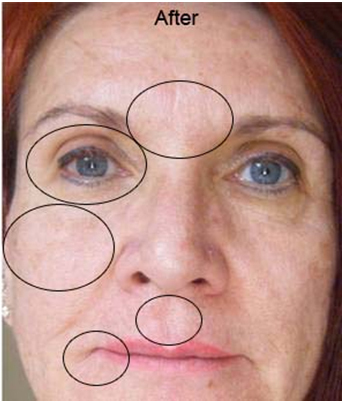 Results Equal to Fractional Laser - See for Yourself! What is Collagen Skin Rejuvenation (CSR)? Collagen Skin Rejuvenation is a treatment that corrects skin conditions such as brown age spots, acne scars, and wrinkles. The treatment will create thousands of teeny-tiny microscopic perforations in the treated areas, which turns on the body's receptors and signals the treated area to promote the production of new collagen, resulting in healthier, smoother and younger-looking skin. Is CSR Really Effective and How Effective is It? Being known as one of the preeminent authorities on skin care, we feel the results of Collagen Skin Rejuvenation (CSR) produce some of the best results we have ever seen, equaling that of Fractional Laser, which is considered by many to be the #1 effective total skin Rejuvenation treatment. If the Results of CSR Are Equal to Fractional Laser, Then Why is CSR Better? CSR is less expensive, less painful and has shorter down-time. There is no burn. 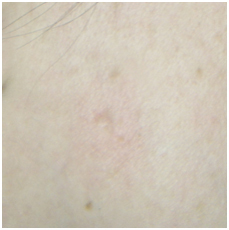 Typically, there is no peeling, yet the results are the same as Fractional and Pixel laser. Does it Work on Brown Age Spots? Yes. CSR is highly effective to removing and/or greatly reducing Hyperpigmentation, also known as brown spots, sun spots or age spots. More than one treatment may be required to get desired results. Can CSR Really Remove or Greatly Reduce My Wrinkles? Yes. CSR is highly effective to removing and/or greatly reducing wrinkles, fine lines, even if they are deep. More than one treatment may be required to get desired results. Can CSR Help Reduce My Sagging Eyes? Yes. 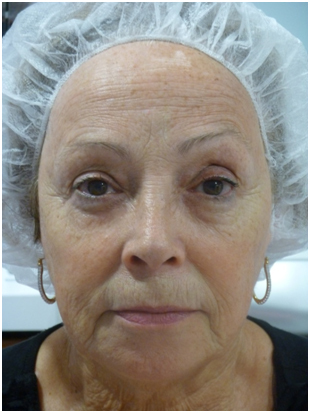 CSR is also highly effective to greatly reducing sagging eyes that become more prominent as we age. More than one treatment may be required to get desired results. Can I Really Plump MY Lips with CSR? Yes. 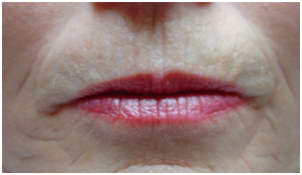 We can fill the lips with Hyaluronic Acid (HA) utilizing the CSR Treatment. HA exists in the body naturally. This is not injections with a syringe. This treatment usually has little pain, is effective, and you won't have �duck lips'. Is Collagen Skin Rejuvenation Painful? Customers typically tell us they feel little to no pain during treatment, usually a pain level 1, 2 or 3 on a pain scale of 1-10, 10 being the most painful. The process consists of applying a topical anesthetic to help numb the skin ensuring little pain or discomfort. After the treatment, you will probably feel like you have a minor sun burn usually for a day or two�rarely up to a week. Each person and treatment can be different. How Many CSR treatments Have Beautify Spa Estheticians Performed? Beautify Spa Estheticians have performed over 10,00 CSR Treatments. Does the CSR SkinFusion really improve my wrinkles and fine lines? Will it plump my lips? Yes, during your CSR treatment we add Hyaluronic acid (HA) , which occurs naturally in the body. 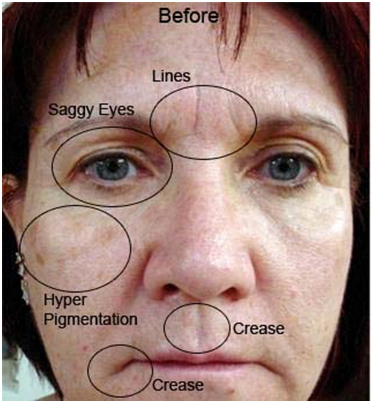 We do this via our own SkinFusion technique and it greatly improves (reduces) your wrinkles and fine lines. And, we can even use it to plump your lips! Is CSR a Medical procedure? Does it require a Doctor? No, CSR is not a medical procedure, rather, it is a cosmetic treatment. 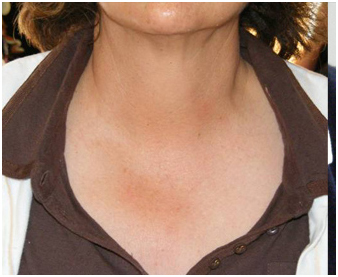 It is considered a beauty Aesthetic procedure and is Non-Invasive. It follows the same guidelines as tattooing, therefore no doctor is required. All we are doing is stimulating the body's natural response to help grow Collagen. 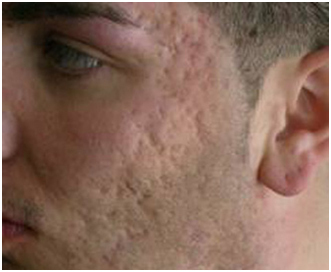 When this occurs, your skin issues can be cleared up. Beautify Spa Estheticians are certified in providing CSR treatments and well follow very strict procedural guidelines and protocol. You can be comfortable you are in good hands for the CSR treatment. Does Beautify Spa have a Medical Director? Yes, we do. Although the treatment does not require a medical director, Beautify Spa wants to insure you safety and comfort. Our medical director is highly experienced and is the emergency room Medical Director for the Scottsdale Healthcare Hospital Emergency Department, Shea Campus. He has lived in Phoenix for over 30 years. Does Beautify Spa by International Skin Care Offer Free Consultation? Yes. Beautify Spa offer complimentary consultation to see what CSR can do for you. We will be able to assess your skin condition(s), educate you further on CSR and see if the CSR treatment is right for you. Beautify Spa simply consults and educates, we never pressure you. I've Tried Everything for My Acne Scars with Little Success; Will CSR Really Work for Me? Yes. 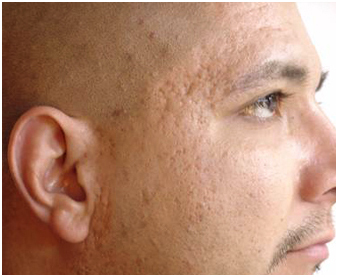 CSR is also highly effective at removing and/or greatly reducing acne scarring. 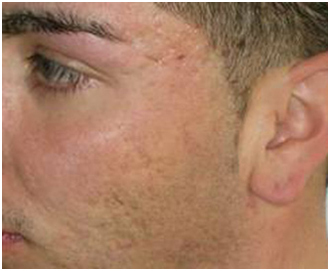 Please see the �Before and After' pictures of acne scarring. More than one treatment may be required to get desired results. Virtually zero downtime. Although every person can reacts differently to CSR, typically you can go out the same day or the very next day. You will have some redness and your face will feel like a minor sunburn typically anywhere from a day or two, up to a week. You will have a bit of puffiness as well. Bruising can occur, again each person is different. You should avoid direct sun exposure for a minimum of seven (7) days. You can put make-up on almost immediately. The results depend on what your skin issues are, and how damaged your skin is. Every person's body reacts differently to CSR. More than one treatment may be required to get desired results. Typically, you will see a major improvement with one treatment. How Far Apart Should My Treatments Be if I Need More Than One? Does CSR Utilize a Tattoo Machine or Derma-Rolling Procedure or Skin Needling? No. This is not method of derma-rolling, Skin Needling or the use of a tattoo machine, sometimes called a microfine needle rotary machine. Those treatments are antiquated, barbaric, and simply not as effective as CSR! CSR is a very cost effective treatment when compared to the results you receive. When compared to Fractional Laser, it is less expensive. For the price, the benefits of CSR are simply phenomenal. Are the Beautify Spa Estheticians Certified to Perform CSR? Yes, currently Beautify Spa has 4 Estheticians who have been certified to perform the CSR Treatment. Beautify Spa Estheticians have performed over 10,00 CSR Treatments. How Long does a CSR Treatment Take Per Session? The CSR treatment only typically takes only an hour and a half total. We can have you in and out in a relatively short period of time. In many cases, you may even go back to work the same day or resume most normal activities. How Long Will the CSR Results Last? There are a few �Ma & Pa' type Salons and Spas that state this treatment can last 5-10 years. That is simply not accurate. The CSR results last differently with every person. There are many factors that affect how long the CSR results will last, such as; sun exposure, your age, stress, diet, exercise, acidity in the body, and genetics. Typically, CSR results last up to a year. However, when Collagen Skin Rejuvenation is combined with our LED Skin Rejuvenation, the results and can be much faster and longer lasting! The LED light �nourishes' the growth of collagen and elastin. Is CSR Just for the Face? No. 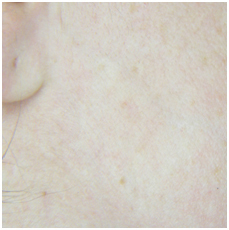 CSR can be performed virtually anywhere on the body, mainly on scarring or brown age spots. Does Beautify Spa Provide a Guarantee of Results? Actually, we do! Although, Beautify Spa cannot guarantee specific results, we do guarantee you will see positive benefits from CSR. It may require more than one treatment, but you will see skin improvements. If you don't, we will refund 100% of your money. Does LED Skin Rejuvenation Really Help to Get Better Results after a CSR Treatment? Is Everyone a Candidate for CSR Treatments? Just about everyone is a candidate for CSR. Customers who have diabetes or who are on blood thinners require a consent form from your doctor prior to receiving CSR treatments. Those taking corticosteroids also need to be cleared prior to the procedure, as steroids suppress the immune system response and can increase the risk of infection. Customers with a history of herpes may need to be put on antiviral medications as a precautionary measure. Your skin will be cleansed thoroughly and a topical anesthetic will be applied. The procedure is relatively painless, and takes about 15 minutes to conduct. It is safe for all skin types. Typically patients find they can go back to work soon after treatment or the next day. Typically, you can apply make-up the next day after treatment. You absolutely need to wear a minimum of an SPF-30 sunscreen and apply twice a day. You must completely avoid the sun and take extra care to protect your skin from more damage. Beautify Spa has an all-natural, organic skin care line called Beautify that can really keep your new skin looking the best it can be! Add a Line Definer CSR to reduce deep lines & wrinkles! This type of CSR focuses on deeper lines and wrinkles and can give you spectacular results. It will leave a red scratches on the areas treated for 3-7 days, however you can wear make�up after the 1st day. You can add it on to your CSR Face Treatment, or you can do as a stand-alone CSR treatment.